predicates are created in syntax. a SC, with depictives being different from the other two in that they are in the structural focus position in Hungarian while the others undergo predicate movement. Predicate movement is analyzed as a way of complex predicate formation in overt syntax. 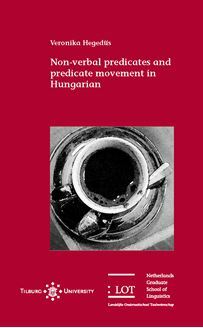 Analyses previously suggested in the literature are considered, which take predicate movement and complex predicate formation either to be semantically motivated or to be a result of independently motivated movement of an internal argument.